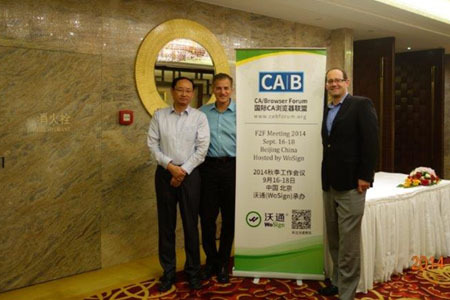 WoSign successfully organized CA Browser Forum Beijing working conference-WoSign SSL Certificates! 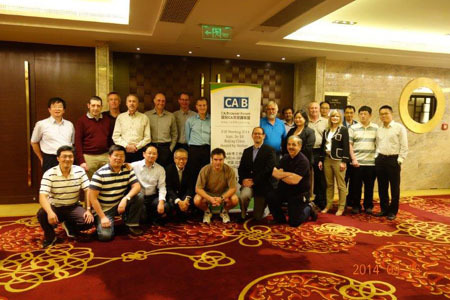 International organization CA/Browser Forum 2014 work conference in fall will be held in China World Hotel Beijing during September 16 to 18. Hosted by WoSign, this conference achieved complete success and has received high evaluation from participating experts and scholars. Mr. Wang Gaohua also introduced the current situation of domestic crypto algorithm SM2 and presented the only SSL certificate in the world that has already been issued with domestic crypto algorithm. This organization in which WoSign joined last July sets international standards of CA. 30 participants including Microsoft, Mozilla, Webtrust, mainstream CA (Symantec/ VeriSign, Entrust, Digicert, Comodo and GlobalSign) and CA from Taiwan and Chunghwa Telecom attended this conference. Note: contents above are for reference only, subject to the meeting minutes published on the official web of CAB Forum.